WHEN MOST OF US THINK ABOUT EARTH DAY, THE IMAGE OF AN ANIMAL DOCUMENTARY WITH A MORGAN FREEMAN VOICEOVER, OR AN APOCALYPTIC MOVIE MAY COME TO MIND. PERSONALLY, I PICTURE DISNEY'S FRIENDS FOR CHANGE CAMPAIGN FROM 2009 WITH A MONTAGE OF DISNEY STARS PLANTING TREES AND SINGING. SOMETHING THAT I HAVE PONDERED RECENTLY IS WHY IT TAKES A NATIONAL HOLIDAY TO HAVE SOCIETY TAKE A STEP BACK AND ACKNOWLEDGE THE ENVIRONMENT. NOW MORE THAN EVER, WITH THE CURRENT PRESIDENTIAL OFFICE MAKING SEVERE CUTS TO OUR COUNTRY'S ENVIRONMENTAL FUNDING, WE NEED TO ACKNOWLEDGE THE ENVIRONMENT EVERY DAY. WE SHOULD BE MAKING AN ACTIVE CONTRIBUTION TO REDUCE OUR CARBON FOOTPRINT MORE FREQUENTLY THAN JUST ONCE A YEAR. Here are some quick facts about Mother Earth today, April 21, 2018. Currently, the Earth is 4.543 billion years old. Our society heavily underestimates the devastation of our inhabitants on the Earth. Global warming is -- surprise -- not a hoax created by the Chinese. Natural disasters have wreaked havoc in multiple areas of the globe presenting themselves in multiple, calamitous forms. Earthquakes, hurricanes, forest fires, flash floods, snow, ice storms, and record breaking rainfall have all been seen in this past year. Devastation, and years of damage have repeated themselves, and sadly, we do not have all of the tools to fix them. Our government is not really helping much either. The Environmental Protection Agency, (EPA) has seen its largest cuts in over 40 years, equating in a 55 net percent deflation, $2.8 billion in cuts, and a 34 percent cut in the EPA budget. Measures put in place by the previous presidential office has been revoked, removed, and eliminated. These Obama-era measures include International Climate Assistance and the Global Climate Change Initiative (GCCI), supporting international climate efforts. Clean energy and disaster mapping, and disaster relief have all taken severe hits, not to mention a loss of over 700 American jobs for environmental scientists and workers. If, like me, this information leaves you nauseated, there are thing you can do. Pessimism has taught us time and time again that you are just one person, how can you make a difference? Awareness, yes, is important, especially under an administration who refuses to even acknowledge climate change as a global issue, but action is crucial. 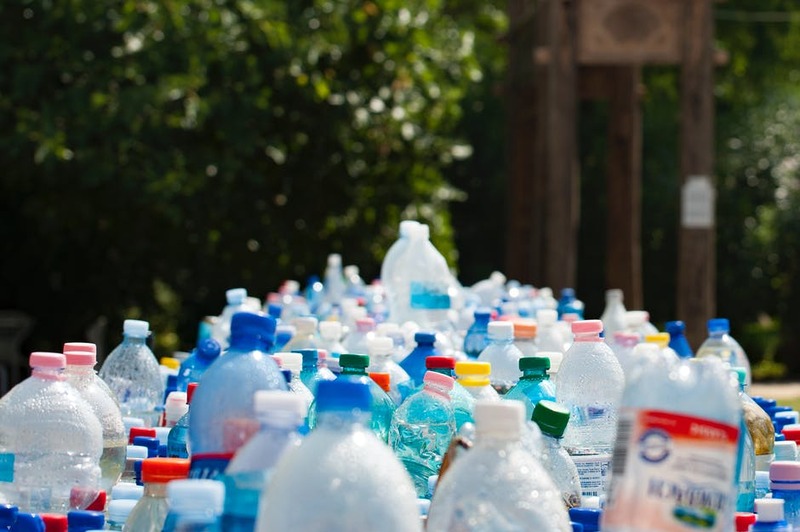 Here are some ways to reduce the amount of waste you use everyday, and be a change in the environment that goes beyond planting a tree and recycling. It is all about being conscious of your decisions. Okay, you got me. It may seem redundant and frankly quite repetitive but it can not be said enough. It can get very frustrating especially when places you spend a lot of time in (like work or school) do not have recycling programs in place. Please make an effort to separate plastics/bottles, paper/cardboard, and glass items as much as you can. If you live in an apartment and/or a neighborhood do some research about local recycling programs. The 2,000 landfills, in the U.S alone, will thank you. Most of us own reusable water bottles. A lot of retailers have started to sell impressively fashionable water bottles which make it all that more appealing to buy your own. Another familiar item are reusable bags, coming in forms such as reusable grocery bags from Whole Foods, and cute canvas one's for farmers markets and retail shopping. There are so many more items that we throw away every day that can be modified into useful items around the house. For example, the plastic containers from take-out can be used as permanent food storage containers or even to store extra Q-tips or bobby pins. It's a double win because you not only save money and time, as you don’t need to constantly replace these items, you are saving the environment too. Some more examples of these houseware items include: napkins, straws, plastic cups and plates, cutlery, food storage containers, plastic ziploc bags, tissues, paper towels and zip ties. If you are fortunate to live in a home/area where you have a backyard, grass, or a porch, this one's for you. Compost is a way to naturally break down your waste in your own backyard/porch. Compost boxes can be purchased online or made from household items. Items you can compost range from eggs shells, to potato skins, to fruit peels and coffee grounds. Composting is a great way to create nutrient rich soil for farming and planting that does not need fertilizer, while also reducing methane emissions from landfills. 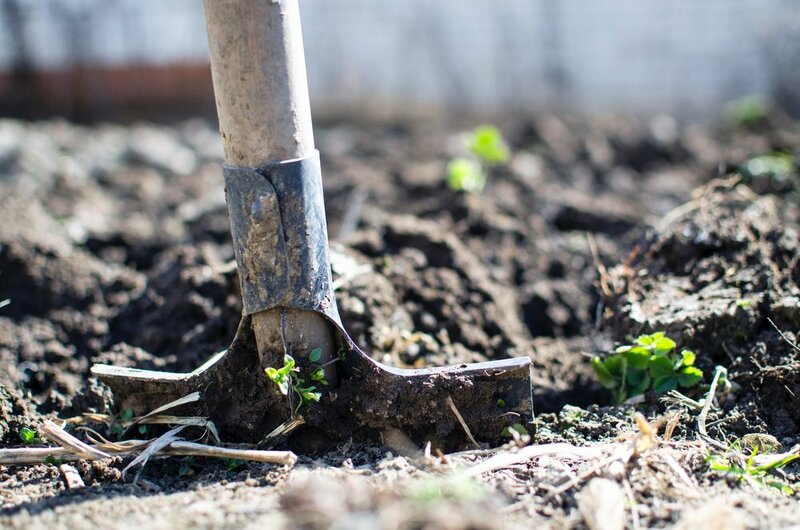 If you live in a metropolitan area, you can look for community gardens which should have compost areas. Here are links to compost information and how to start your own compost. As a vegan, I frequently am asked a lot of questions as to why I choose the lifestyle that I do. My answer usually ranges from ethics, morals, heath, and the environment. Understandably, everyone's body, health needs, and accessibility vary greatly. Not everyone has access to the nutrients you need to sustain on a vegan diet (which are strikingly easier than one may think). However, veganism has so many health benefits as well as environmental benefits. It takes 2,400 gallons of water and just 25 gallons to raise one pound of wheat. Cutting meat out of your daily diet will allow for you to reduce your carbon dioxide emissions by 1.5 tons a year, the size of a small elephant. In addition, meat eaters overall create seven times more greenhouse gases than those of who are vegan or vegetarian. There are many ways to still eat meat and reduce your amount of waste, by just reducing the amount of meat you eat. For example, doing Meatless Mondays, where on Mondays you follow a vegetarian or vegan diet, eating every other day with no meat, or incorporating more vegan and vegetarian meals into your diet as a whole where some meals exclude meat in general. Here is a link to Peta’s website for a free vegan starter kit (and free vegan stickers) as well as a YouTube channel which serves as an awesome resource for vegan tips, tricks and nutrition information. Say it one more time for the people in the back - local grown organic produce is better than ones made chemically in labs. Again as stated above, I realize that everyone's accessibility is different. Some of us do not have the privilege of shopping at a local farmers market or locally owned and grown produce market. You may even have access to local produce, which is good, that may not be organic, which is still better than buying from a chain store. Do what you can, any effort is effort towards the right right cause. Local organic produce ensures that there were no harsh chemicals or pesticides in the growing of your fruit, which is overall beneficial to your body, taste buds, and our ozone. If you have land and not a local grower near you, plant your own! It’s no surprise that thritfing has worked its way up from being coined as something that is “gross” or just for those who cannot afford clothes from a “real store” to a niche market driven by trendsetters, bloggers, editorial goddesses and those who own overpriced vintage stores in SoHo and Brooklyn. It’s easy to fall in love with thrifting. Racks upon racks of unique items that are astoundingly cheap? Yes please. Thrifting is a great, easy way to reduce your carbon footprint by purchasing recycled clothes while scoring one of a kind pieces. It also ensures you are not contributing to the fast fashion epidemic of sweat houses and the burning/waste of clothing by major fashion brands. Imagine, walking down the street with an outfit you know no one else will have. I personally love thrifting because it allows me to create and style looks that were not planned for me by a brand. Each piece has a backstory, and I feel like by wearing it, I am a continuation of that story. I started in middle school making inspiration boards and collages out of magazine cutouts and then shopping the looks on runways at the thrift store, which is a great way to stay on trend for those of you who follow them. Another plus is designer pieces It is so rewarding to score a designer piece for the fraction of the cost, or an item you had set out looking for. My go-tos favorites are Goodwill, Savers, and L Train vintage. Consignment shops, and online apps such as Merari and Depop are also another great way to score secondhand finds. 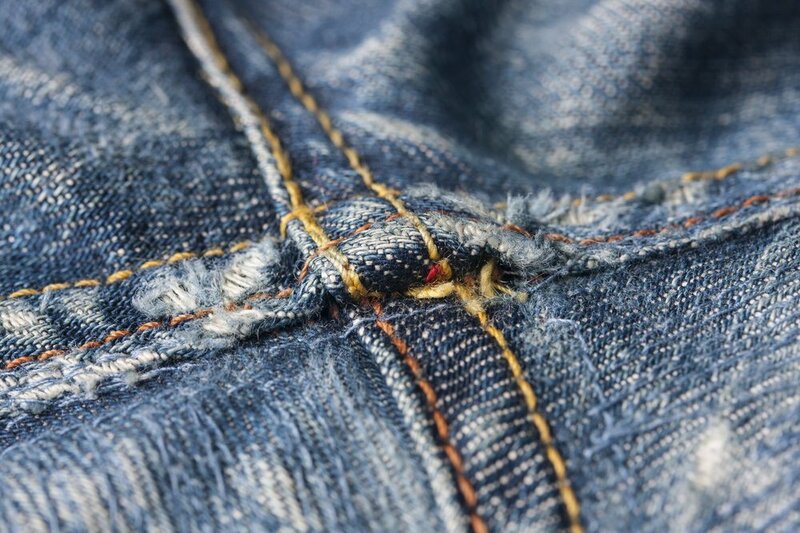 One last tip is to never, ever, throw out a pair of old jeans. Jeans have so many uses even if they no longer fit you. Recently I have made phone cases, purses, wallets, earrings, belts, shirts, bralette and new pairs of jeans out of old ones. The possibilities are endless. The damage done on the earth so far cannot be undone, but there are many measures we can take to make a positive contribution to lessen the wound. Recycling, using reusable household items, compost, going local with produce, reducing meat intake, and thrifting are great ways for you to reduce your carbon footprint and make every day a day for the environment. No, you do not need to be a marijuana-smoking gypsy to be an environmental activist. Do your research about what you can do in your community, get educated, and VOTE for those who believe in climate change and measures in favor of it. Call and write to your local offices and state senators. Hug a tree, water your plants, eat some veggies, and make sure you are giving as much love to Mother Earth as you possibly can. We only have one planet, and it's time to treat it right.